Novels of first contact are extremely common - it's been a standard subject for science fiction since almost the beginning. A slightly smaller subset of first contact novels deal with the arrival on and exploration of alien planets. 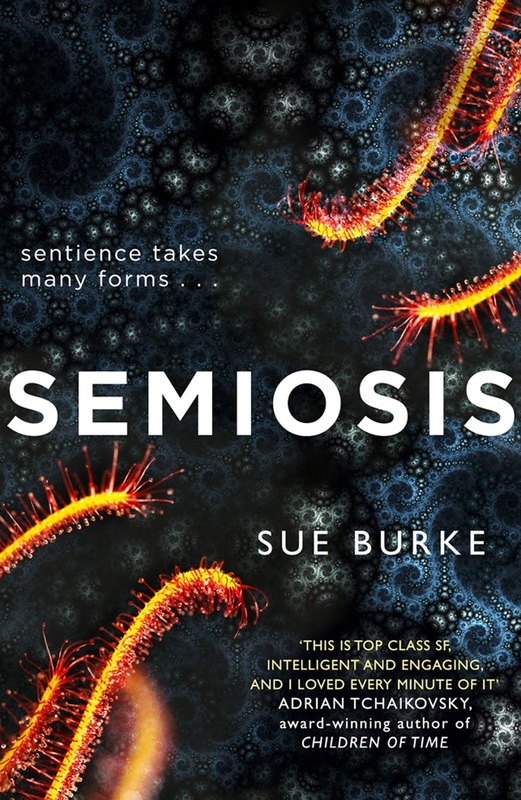 But Sue Burke's new book Semiosis is probably unique in its depiction of the intelligence that the arrivals from Earth encounter. Fleeing an Earth ruined by war, ecological crisis and inequality, a small group of settlers arrive on Pax to try and create an egalitarian, peaceful society. Early accidents leave their numbers depleted, but enough humans survive to begin to carve out an existence from their surroundings. Imported seeds from Earth take root and the local flora and fauna appears, at least in some cases, to be edible. Until its not. Suddenly the food turns poisonous, and it quickly becomes clear that Pax's new arrivals have to deal with an extremely complex local ecology where the plants themselves are sentient. What follows is a fascinating story that examines the way that ecology is always a system of interlocked relationships between plants and animals. Intervening from outside can disturb an equilibrium and the system will react to try and fix that. The humans face a choice - repeatedly in fact - as to how to best relate to the rest of the world. Should they react with the strategies that they fled earth to avoid - with destruction and combat? Or should they come to a mutual arrangement with their fellow sentient beings, and risk losing their own identity? It's a very readable, interesting and extremely unusual novel that I recommend to science fiction fans. 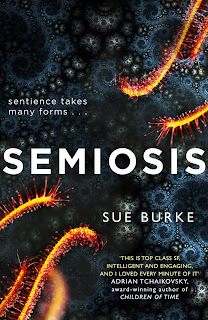 Semiosis' tale of an idealistic group of people arriving in an alien world and being thwarted by the local ecology reminded me a little of John Wyndham's novel Web, but Sue Burke brings a very different and excellently written twist to an age old science fiction plot.